The original Tory Lanez-assisted track charted high on DJcity and peaked at No. 44 on Billboard’s Hot 100. Stream Chuckie and Tom’s remix below and download it on DJcity. Follow Chuckie on Facebook, Instagram, SoundCloud, and Twitter. Follow Tom Enzy on Facebook, Instagram, SoundCloud, and Twitter. Chuckie has teamed with Aruban DJ/producer Steve Andreas for a Latin-infused big room heater titled “Latino.” The hard-hitting track follows J Balvin, Jeon, and Anitta‘s global anthem “Machika,” which Chuckie co-produced. Watch the video for “Latino” above and download the track on DJcity. The track, which is currently No. 14 on Billboard’s Hot Latin Songs chart, was also produced by Dutch trio ChildsPlay and frequent Balvin collaborator Sky Rompiendo El Bajo. Along with his experience in the style, Chuckie also recognized the importance of mashing different cultures. According to Billboard, “Machika” has been rumored to be in the running to be used as a World Cup song. That makes sense, given the track’s high energy, fusion of cultures, and international appeal. Watch the video for “Machika” above download the track and its remixes on DJcity. Dutch legend Chuckie and trio ChildsPlay have returned with a new installment of their eclectic Traphall series. As its name suggests, the project combines elements of trap and dancehall, along with other styles. Download our favorite tune from the EP, “Big Bumpa,” exclusively on DJcity, and stream the other tracks below. Chuckie and Hardwell‘s 2010 single “Move It 2 the Drum” has been remixed by rising DJ/producer Landis. The Miami native’s rework is a dark yet energetic update to the original progressive house song. Stream the remix below and download it first on DJcity. Chuckie’s last set for Pioneer’s “DJsounds” show has received a million YouTube views since being uploaded two years ago. That, coupled with the Dutchman’s talent and legendary status, was reason enough for Pioneer to invite him back for a second mix last week. Chuckie put down an hour of house and tech house this time around and even got busy with a little scratching near the end (around 49 minutes in). Watch the interview and full set above. In December, Dutch trio ChildsPlay and veteran DJ/producer Chuckie released their innovative Traphall EP that blends trap, dancehall, hip-hop, reggae, and house. Inspired by feedback from fans, the duo has returned with a second installment via Chuckie’s Dirty Dutch Music label. One of our favorite tunes from the project is “Bruk Out” — an energetic vocal track with a strong dancehall vibe. Chuckie has teamed up with Dutch trio ChildsPlay for a new EP that blends trap with dancehall and reggae. Released on his label, Dirty Dutch Music, Traphall marks a change of pace from Chuckie’s previous single, “Vamonos.” The genre-blending project is unlike anything we’ve heard from the legendary DJ/producer. Legendary DJ/producer Chuckie has released a preview of his new collaboration with Australia’s Kronic & Krunk! called “Vamonos.” The track blends Dirty Dutch with Melbourne Bounce stylings and has received support from Showtek, Laidback Luke and Dyro. “Vamonos” drops October 31 and is the first release on Chuckie’s recently relaunched label, Dirty Dutch Music. 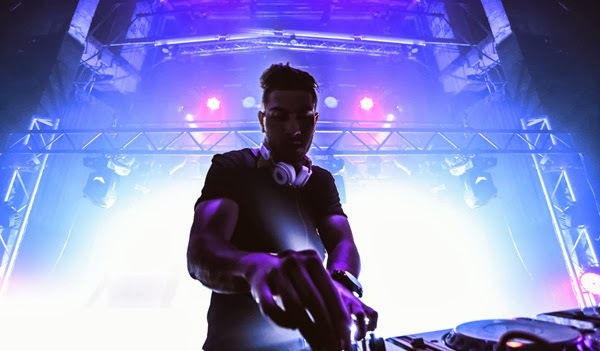 Congratulations to Australian DJ/producer Krunk! for winning the Chuckie and DJcity Remix Contest! The 21-year-old producer has previously remixed for The Twins, Bombs Away, Havana Brown, and others. Krunk!’s impressive house remix of “Makin’ Papers” featuring Lupe Fiasco, Too $hort, and Snow Tha Product immediately caught Chuckie and DJcity’s attention, and we’re happy to share it with the world. Follow Krunk! Facebook, SoundCloud, and Twitter.